In our last Pacsafe video we talked about how excited we were that they finally came out with a backpack that was perfect for hiking. I was using the 30-liter Venturesafe that was great for day trips. The challenge I had with it was when I was going on multi-day treks; I needed more room for clothes and gear. 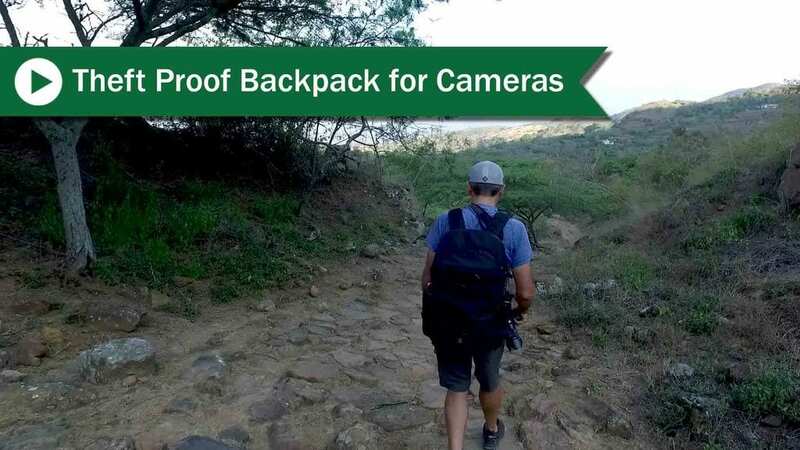 We needed a different theft proof backpack for our cameras. Problem solved! The Venturesafe X40 plus anti-theft multi-purpose backpack. I can now carry my gear along with a few days of clothes. Security and functionality meet in this multi-purpose, lightweight and comfortable backpack. X40 has features that both protect from the elements and the threat of pickpockets or bag slashers. The backpack is very comfortable. Even with the weight of all my gear. It has a U-shaped aluminum frame, padded backpack harness and waist belt with breathable EVA. The straps are slash guard protected. The X40 bag is covered with Pacsafe’s Exomesh and includes RFID Safe pockets and lockable Zippers. Built-in hideaway rain cover. Lots of pockets for your wallet and other valuables. And the front pocket is perfect for my laptop. The main feature that caught my eye about this backpack was the ability to access all my gear from the back. The optional Camsafe camera insert will easily hold my 2 Cameras, drone, and all the accessories, and to be able to quickly access everything from the back is superfunctional. This theft proof backpack is now in our regular bag rotation anytime we travel. 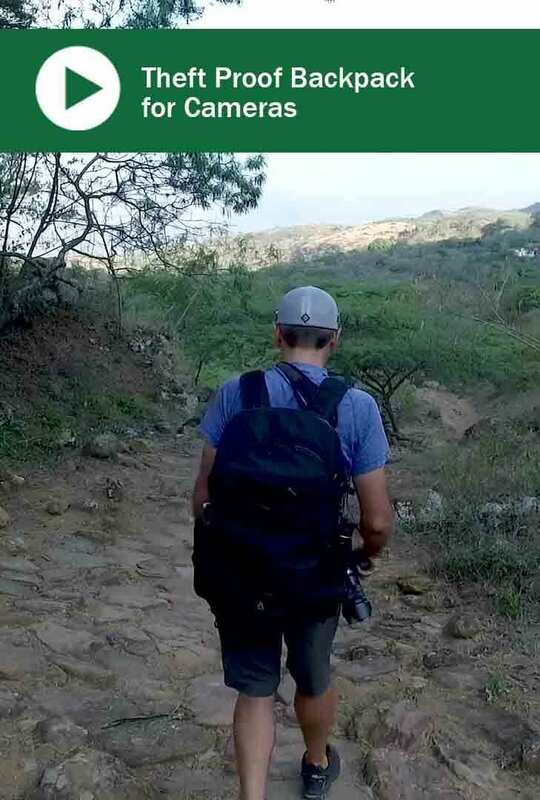 We still use all our other Pacsafe bags, yet they serve different purposes and it depends on what kind of travel we are doing. Looking for more information about travel safe bags that can work best for you? Check out our other videos and posts about our other bag choices. We love bags and gear and love reading reviews. What gear do you use?